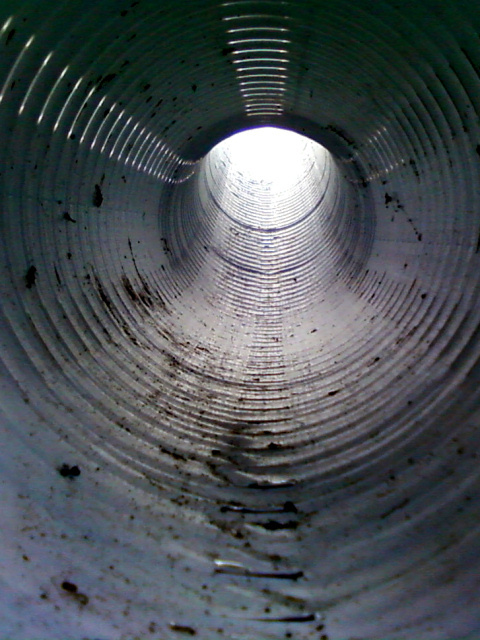 Between the array itself — which handles cable routing with timber 'V' and 'U' trays — and the RF-container, there is some complicated ducting work to be done. This is to protect the cables but also to take up any surplus length before they are routed into the cramped RF-container. Because we need to protect the cables from direct contact with the soil, which is subject to frost-heaving and other freezing effects, they must be sent through free-air ducts. 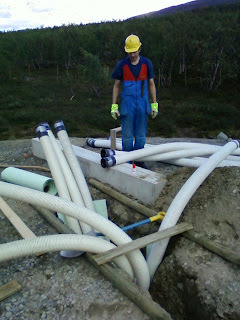 These are lengths of flexible plastic pipe in which the cables can sit freely and move if the pipes themselves are shifted by ground disturbances. 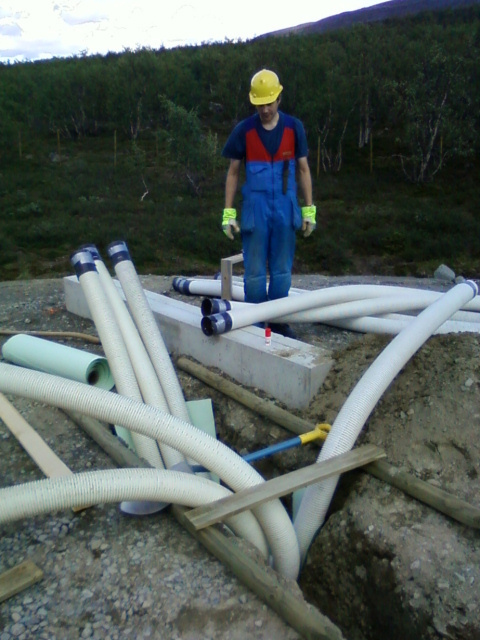 Placing these pipes is a tricky business. They seem to have a mind of their own and will not stay put as one would like. Instead, we need to tie them up, batten them down, but otherwise tolerate their wayward behaviour. Once the RF-container and cable mausoleum are in place, we can them tie them into place and bury the remainder to secure everything.